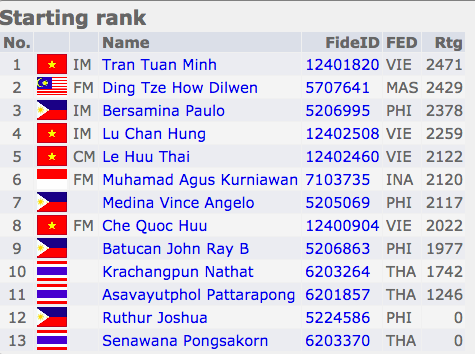 Peter Long on Chess: Dilwen Ding Is In Pattaya! 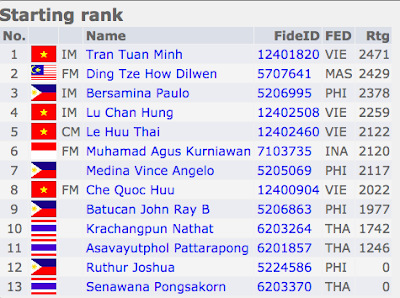 The 17th ASEAN Age-Group Chess Championships has a big name in Malaysian's Dilwen Ding who is playing in the U-20 Open. He is of course accompanied by both his Manager-Mother and his personal Grandmaster Coach and so this proven and tried Team Dilwen can most confidently look forward to even more success. I have many requests to provide special coverage of the performance our No. 1 player here and will do my best even if my tight schedule here makes that difficult (if not unlikely).